En Route to Europe with McHugh, who took the photo. For anyone who has seen Roger Ebert review a movie with either co-host Gene Siskel (who passed away in 1999), or Richard Roper until 2006, or perhaps read one of his hundreds of reviews, it's clear that he is a man who fervently and deeply loves film. And considering that he's been reviewing for over 40 years—for the Chicago Sun-Times, for the TV show Siskel & Ebert at the Movies, for his blog—it's not difficult to be seduced into feeling like you know him on a more personal level because of his open and honest dialogue with his fans. Attends the The Roger Ebert Conference Center Announcement held at the American Pavillion during the 62nd International Cannes Film Festival on May 15, 2009 in Cannes, France. It's a testament to Mr. Ebert's remarkable skills as a writer and critic that he is able to create a sense of camaraderie with his audience. 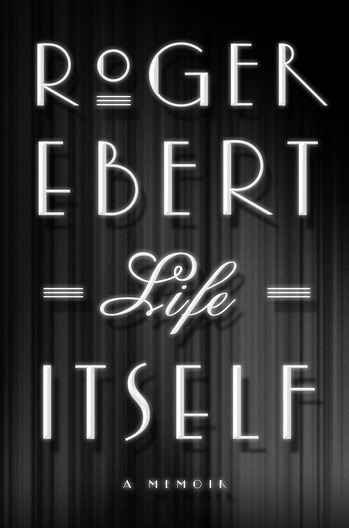 In Mr. Ebert's new book "Life Itself: A Memoir", he moves beyond his reviews to tell a more dramatic story of his life and career from the early years at the Chicago Sun-Times to the moment he learned he had thyroid cancer which resulted in the loss of his ability to eat, drink or speak. “Life Itself” is a poignant and inspiring memoir that touches on his passion for actors, directors and the cinema but delves deeper into his life chronicling his painful jaw surgeries, his love/hate relationship with alcohol, his firsts, his spiritual beliefs and growing up as an only child in Urbana, Ill. This book is a must read for his loyal fans and for anyone curious to know more about the man who has helped shape the way we think, feel, and react to films. Roger Ebert with his wife, Chaz and their two grandchildren, Emil and Taylor. What’s sad about not eating is the experience, whether at a family reunion or at midnight by yourself in a greasy spoon under the L tracks. The loss of dining, not the loss of food. Unless I’m alone, it doesn’t involve dinner if it doesn’t involve talking. The food and drink I can do without easily. The jokes, gossip, laughs, arguments and memories I miss. I ran in crowds where anyone was likely to start reciting poetry on a moment’s notice. Me too. But not me anymore. So yes, it’s sad. Maybe that’s why writing has become so important to me. You don’t realize it, but we’re at dinner right now.